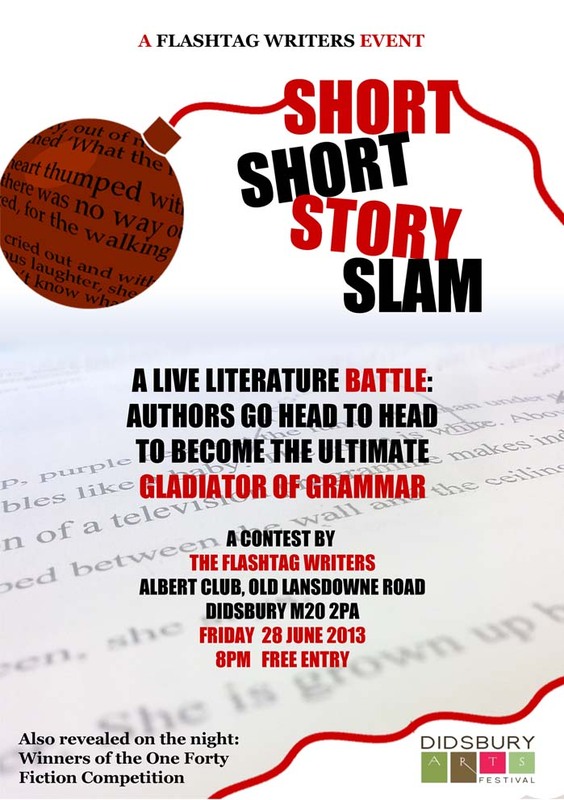 The Flashtag Writers’ will host a live literature battle for Didsbury Arts Festival where you, the audience, are the judge. In the Short Short Story Slam, a panel of plucky contestants will take to the stage with their best very-short stories, battling other fiction-writing foes in a series of tense but hilarious head-to-heads. With voting cards under their seats, the audience decides who stays and who is deleted… there can only be one ultimate Short Short Story Slam gladiator of grammar. Just to add to the excitement, the event also includes the grand results of the Didsbury Arts Festival Twitter fiction competition (launching on June 15th). Join us for the contest of a lifetime!